Property purchase or rental is not a requirement for MM2H visa requirements. You don’t have to show a purchase agreement or a rental contract to apply for the visa. Many clients of ours apply for the visa first even though they are only retiring in a few years time. They may buy a property and a tax-free car when the visa is stamped on their passport. The property may serve as a holiday home or rented out. There are some who will just get the visa but buy/rent when they are retired. There are no restrictions imposed on what you can do or need to do when you have the MM2H visa. 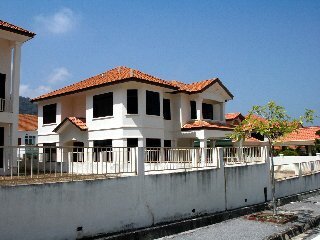 There is an added advantage of buying a property in Penang when you have the MM2H visa – lower minimum purchase price. Non-MM2H foreigners (tourist visa or employment visa) must buy condominiums/gated community properties worth more than RM1m each and houses/bungalows/villas worth more than RM2m each. MM2H visa holders are allowed to purchase two properties each worth at least RM500,000. These two properties can be houses, bungalows, gated community or condominiums (no restrictions). For the third property onwards, the rules for tourist apply (i.e. more than RM1m for condominiums and RM2m for houses). Land is a state jurisdiction and this rule applies only to Penang. For other areas, please check with the respective real estate agent or solicitor. Mortgage is available for qualified buyers. Some banks requirement MM2H visa as a perquisite and they will set their own mortgage conditions and loan margins. Check with the bank directly for mortgages. Although most of our clients prefer to rent, many purchase properties too. There are no restrictions on the type of property that you can buy but agricultural land purchase requires extra documentation, justification and approval. There are many foreigners buying historical heritage houses in Georgetown, condominiums and normal terraced house or villas. Unlike Thailand or Indonesia, you own the property outright and there are no complicated purchase through companies and proxies. You have the same rights to the properties as a local. The title will bear your name(s). Malaysia follows the British legal system and everything is done legally. You need to get a solicitor to represent your interest so that you get everything done legally. With a will, you can will your assets (liquid assets, properties and all other type of belongings and assets) to whomever you wish. There is NO inheritance tax in Malaysia. We do only MM2H visa and its ancillary services including property renovation monitoring and home management. We are not into selling you cars, properties, insurance or tours. However, we have contacts for property agents. Let us know your needs and we will connect you to the right person. 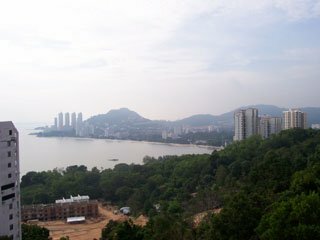 The northern part of the island (Batu Ferringhi, Tanjung Bungah, Tanjung Bungah and Gurney Drive are the favourite places for foreigners. There are lot of activities, shopping centers, clubs and events in that area. Some of them like to stay in Georgetown too. 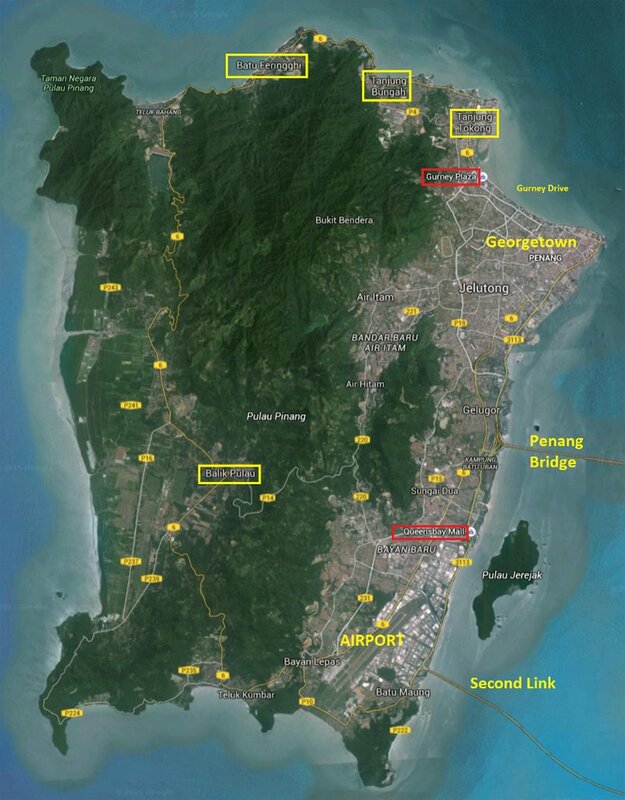 However, as the northern part of the island is crowded and congested especially during weekends and long public holidays, many chose the southern part of the island which is nearer to the Penang bridge, airport and Queensbay Mall. For those who like nature and affordable large houses, they may stay in Balik Pulau (center of the island). It does not matter where you stay; during off-peak hours, the drive to nearest shopping center or a private medical center takes less than 45 minutes. If it is just a medical center (including government hospitals), then it will just be a 15minute drive away. 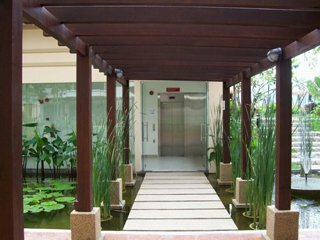 Located between Batu Ferringhi and Tanjung Bungah, this apartment, although is more than 20 years old is very popular among the MM2H participants as it has great seaview and the upkeep of the property is good. Most of the units are occupied by foreigners, be it owned or rented. 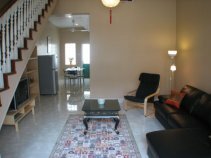 Very affordable to own or rent and it is between Tanjung Bungah and Batu Ferringhi. Apartment sizes start from 1000 sqft (3 bedrooms) and it is probably the right size for many empty nesters. This development boasts the best landscaping and facility (like gym and swimming pool). An example of heritage house in Georgetown. Normal houses in Penang that you can buy. 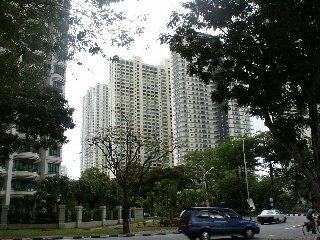 General exterior view of apartment blocks in Penang. Possibly one of the best and affordably priced apartment complex in Penang. 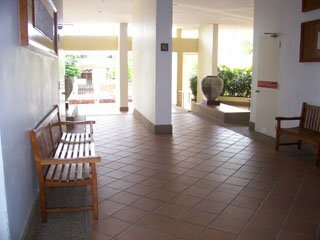 It also boast beautiful landscape, ample parking and great facilities.